Restrictions must be provided by law. Rights: The term rights includes human rights as recognized in the Covenant and, more generally, in international human rights law. It may be legitimate to restrict freedom of expression in the cases of articles 25 (pertaining the right to vote. See Communication No. 968, Jong-Cheol v. Republic of Korea, paragraph 8.3) and article 17 (arbitrary or unlawful interference with privacy, family, correspondence, attacks on honor and reputation) when the expression involves, for example, “intimidation or coercion” (an example for article 25 is given), but such restrictions “must be constructed with care” (on “intimidation and coercion” under article 25, see Communication No. 927/2000, Leonid Svetik v. Belarus). See also General Comment 34, paragraph 28. National security: Legitimate ground to ban speech only if the speech conveys “a perceived threat to national security (violent overthrow of the constitutional order [a crime under Uzbek legislation]) and to the rights of others” See Communication N0. 1233, AK & AR v. Uzbekistan, paragraph 7.2. Treason laws and similar provisions relating to national security, such as official secrets and sedition laws, also included as a legitimate ground. See General Comment 34, paragraph 30. Public order: It may be permissible to regulate speech-making in a particular place. For example, the Human Rights Committee has said that a legitimate ground to ban speech could be when such speech is considered “threatening, unduly disruptive or otherwise likely to jeopardize public order.” See Communication No. 1157, Coleman v. Australia, paragraph 7.3. Restrictons to freedom of expression could also be permissible in contempt of court proceedings when the court needs to excersice its power to maitain orderly proceedings. In this aspect, “the Human Rights Committee notes that courts notably in Common Law jurisdictions have traditionally enjoyed authority to maintain order and dignity in court debates by the exercise of a summary power to impose penalties for ‘contempt of court. '” See Communication No. 1189/2003, Fernando v. Sri Lanka, paragraph 9.2. However, in one contempt of court case, the Human Rights Committee concluded that the state party had violated article 19 of the Covenant “as the sentence imposed upon the author was disproportionate to any legitimate aim under article 19, paragraph 3.” See Communication No. 1373/2005, Dissanayake v. Sri Lanka, paragraph 8.4. Also see also General Comment 34, paragraph 31. The Human Rights Committee has also found that laws of parliamentary privilege “can be seen as a legitimate goal of public order and an accreditation system [for journalists to acces and report on the parliament’s sessions ] can thus be a justified means of achievening this goal” but that “its operation and application must be shown as necessary and proportionate to the goal in question and not arbitrary.” Therefore, “a State party is thus entitled to limit access” to the parliament as long as “any restrictions imposed by the State partymust be compatible with the provisions of the Covenant.” See Gauthier v. Canada, Communication No. 633/95, paragraphs 13.4, 13.6. Necessity/Only way to achieve protection: See Communication No. 359, 385/89, Ballantyne, Davidson and McIntyre v. Canada, paragraph 11.4 and General Comment 34, paragraph 33. Proportionality/Restriction on expression should not be overbroad: See General Comment 34, paragraph 34. Proportionality/ Proportionate to the interest to be protected: “[t]he requirement of necessity implies an element of proportionality, in the sense that the scope of the restriction imposed on freedom of expression must be proportional to the value which the restriction serves to protect.” See Communication 1128/2002, Marques v. Angola, paragraph 6.8. Aduayom et al. v Togo, “[T]he freedoms of information and of expression are cornerstones in any free and democratic society. It is the essence of such societies that its citizens must be allowed to inform themselves about alternatives to the political system/parties in power, and that they may criticise or openly and publicly evaluate their Governments without fear of interference or punishment”. 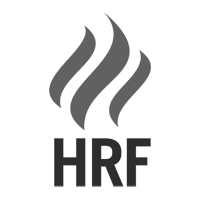 15 UN Human Rights Committee opinion on libel laws in the United Kingdom: “The State party should re-examine its technical doctrines of libel law, and consider the utility of a so-called ‘public figure’ exception, requiring proof by the plaintiff of actual malice in order to go forward on actions concerning reporting on public officials and prominent public figures, as well as limiting the requirement that defendants reimburse a plaintiff’s lawyers fees and costs regardless of scale, including Conditional Fee Agreements and so-called ‘success fees’, especially insofar as these may have forced defendant publications to settle without airing valid defences. The ability to resolve cases through enhanced pleading requirements (e.g., requiring a plaintiff to make some preliminary showing of falsity and absence of ordinary journalistic standards) might also be considered. (2008) UN doc CCPR/C/GBR/CO/6.